Key Difference: Snapdeal is an online marketplace that was founded by Kunal Bahl and Rohit Bansal in 2010. 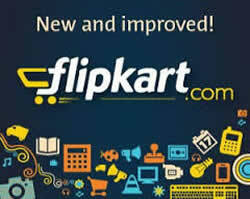 Flipkart is an Indian electronic commerce company founded by Sachin Bansal and Binny Bansal in 2007. Shopping today has become a piece of cake, with online shopping taking over traditional shopping. No more traveling or bargaining but rather a shopper can now sit at home or work and purchase whatever they want with just a flick of the wrist and a click. Ecommerce companies have become all the rage, with companies such as Snapdeal, Flipkart and Amazon fighting to acquire as much marketshare as they can. 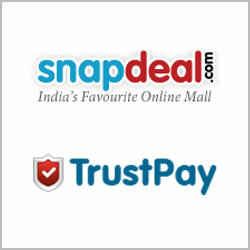 Snapdeal and Flipkart are two companies that are based in India. Snapdeal is an online marketplace that was founded by Kunal Bahl and Rohit Bansal in 2010. The company is headquartered in New Delhi, India. It was originally established as a daily deals platform, where people can purchase coupons to avail discounts, and later grew into a full fledged online marketplace. The company aims to sell products in all categories, including recently adding the category of automobiles. The company is considered as one of the largest online market place in India. According to the company it operates on five core values: Innovation, Change, Openness, Ownership and Honesty. Flipkart is an Indian electronic commerce company founded by Sachin Bansal and Binny Bansal. It is headquartered in Banglore, India and started operations in 2007. Similar to Amazon, Flipkart initially started operations in books and later forayed into other products. The company is registered in Singapore, and owned by a Singapore-based holding company. Unlike Snapdeal, Flipkart has launched its own product range under the name “DigiFlip” and its own range of personal healthcare and home appliances under the brand "Citron". Although, the company is registered in Singapore, it sells goods in India through a company called WS Retail, as foreign companies are not allowed to do multi-brand e-retailing in India. Flipkart and Snapdeal are two of the biggest online retail companies in India and both make a majority of their profits from selling electronics such as mobile phones, tablets, laptop, etc. Both the companies were in competition for the big sales during Diwali 2014. Flipkart received a lot of backlash from the customers because of the price changes (prices were hiked prior to the sale and then dropped during the sale), technicality issues on the day of the sale and shortage of goods. However, the company is still touted as one of the best ecommerce company. My Philosophy is drawn to Flipkart, do cheer my heart my flipkart. Snakedeal not Snapdeal. Duplicate Products with Original Price!